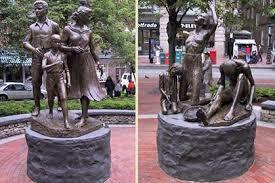 Sculptured by Isabel McIlvain, A Boston University Professor, not without its controversial issues. The Kennedy Tour runs 1 hour 30 minutes. 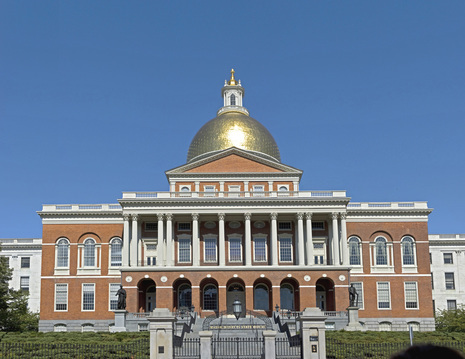 The tour departs from the steps of the Massachusetts State House at 24 Beacon St. 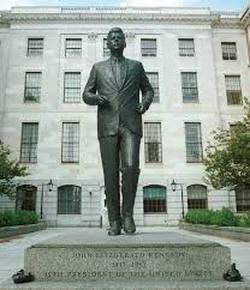 The Kennedy Tour of Boston highlights sites and landmarks in the city which played an important role in John F. Kennedy's rise to the White House. The tour explores the emergence of an Irish political machine in Boston led by Kennedy's grandfathers, P.J. 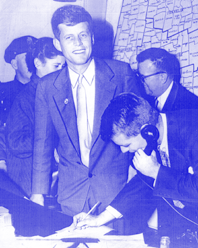 Kennedy and John F. "Honey Fitz" Fitzgerald which paved the way for Kennedy's political ascent, from Congressman, to Senator, to Vice-Presidential candidate, to President of the United States. 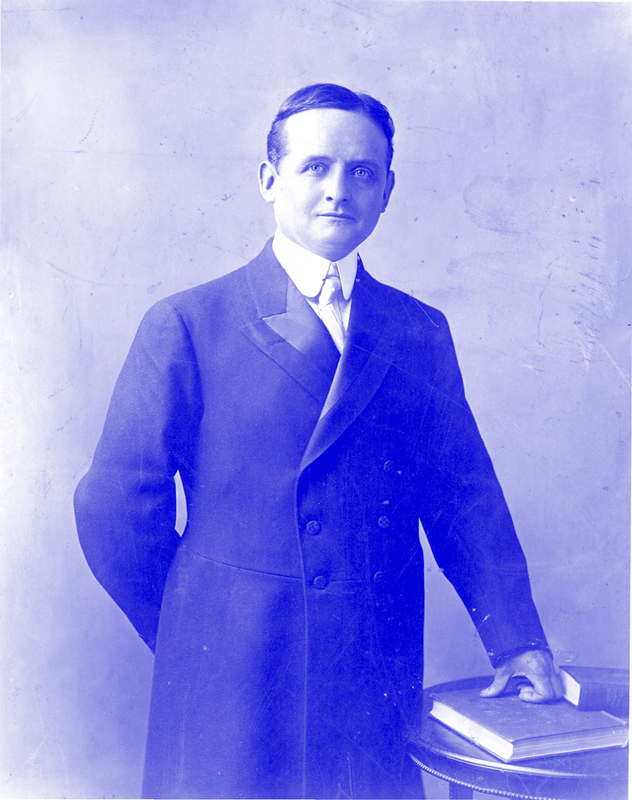 This path covers the 150 years of political combat between the Cabots/Lodges vs. the Kennedys/Fitzgeralds. 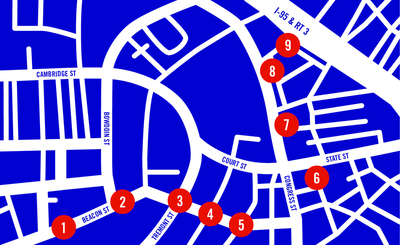 Tours can be started anytime after 10:30 am. Group and Student rates are available. Location of many famous Kennedy and Fitzgerald moments, including the site where JFK announced his bid for Congress in 1946, as well as where he proposed to Jacqueline Bouvier and had his bachelor party in 1953. The Parker House was also the site of many raucous birthday parties held for Honey Fitz.